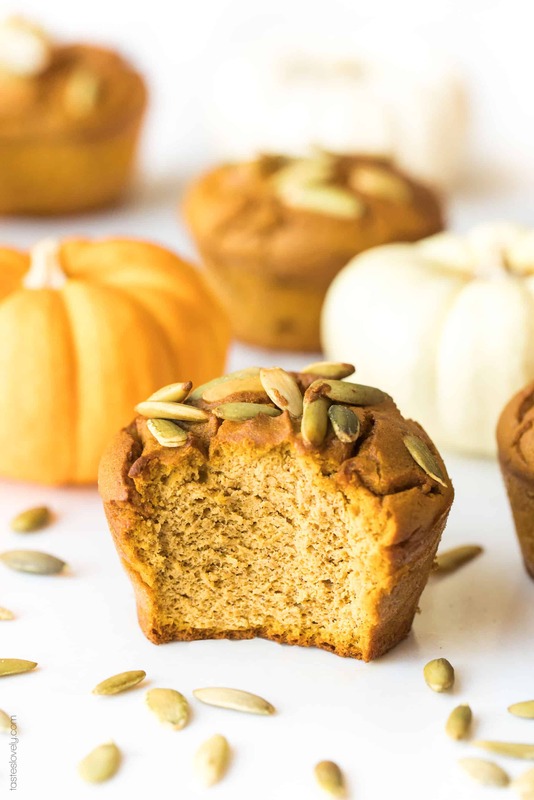 Paleo Pumpkin Muffins Recipe – moist protein packed pumpkin muffins made with almond flour and sweetened with coconut sugar. The batter is made in the blender! Gluten free, grain free, dairy free, refined sugar free, soy free, clean eating, real food. It is October 1st! Let’s put pumpkin in everything! After a very hot summer, I am so ready for fall and cold crisp days. And most of all, for cozy, comforting fall meals and baked goods. 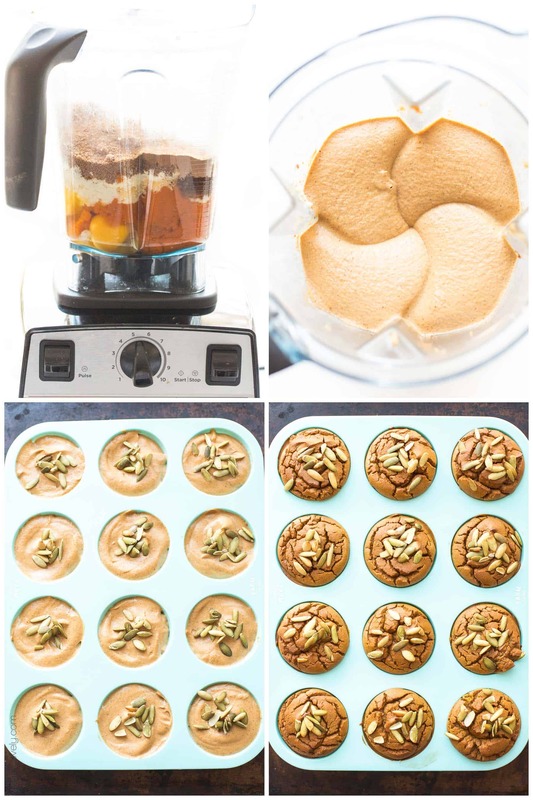 My current favorite being this paleo pumpkin muffins. I love a good muffin. They’re a great make ahead breakfast that is ready to go for busy mornings. 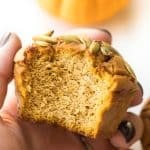 I’ve already shared my go-to paleo banana muffins, paleo blueberry muffins, and now we have a 3rd paleo muffin contender with these paleo pumpkin muffins. 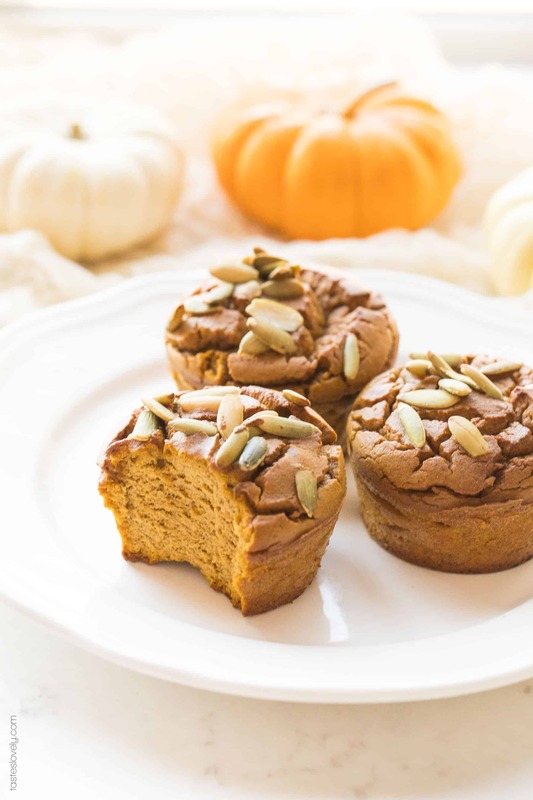 Like my previous paleo muffin recipes, these paleo pumpkin muffins are made with almond flour and sweetened naturally with coconut sugar. 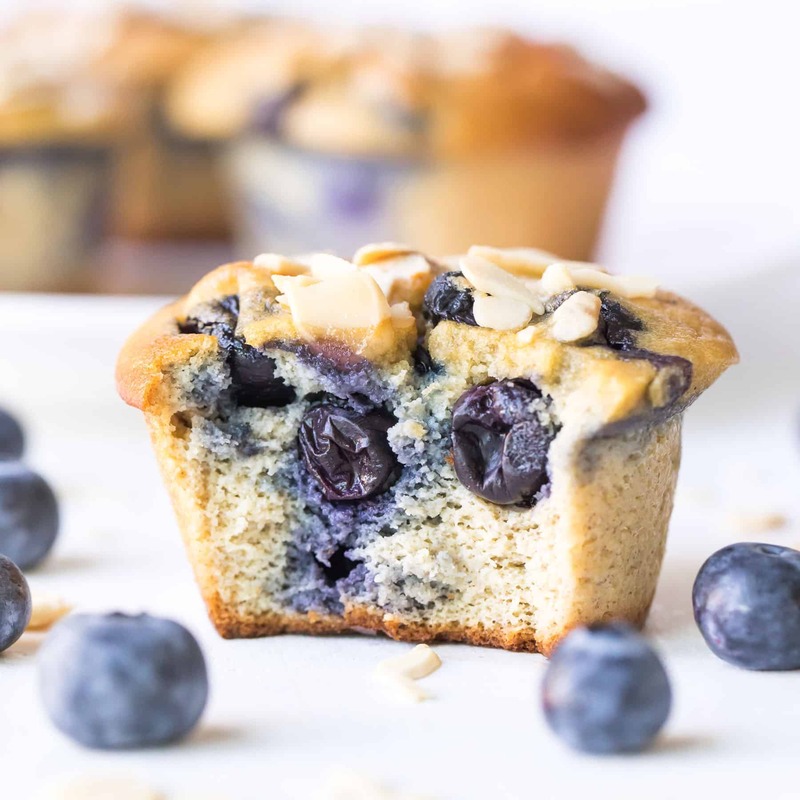 They are packed with protein thanks to the almond flour and the 6 eggs in the muffin batter. That’s half an egg per muffin! They’re spiced with pumpkin pie spice, and of course packed with an entire cup of pumpkin puree. I love making my muffin batters in my blender. 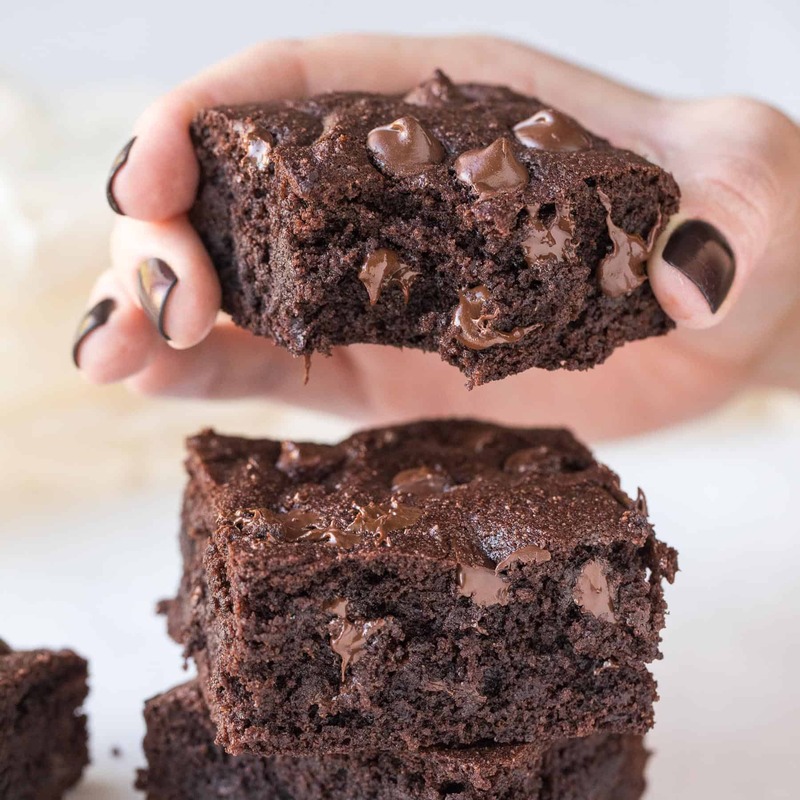 The batter comes out silky smooth, and I can pour the batter right in to my muffin pan. I’m still loving my silicone muffin pans, the muffins pop right out! No sticking! And I don’t have to use paper muffin liners and waste any of my delicious paleo pumpkin muffin that got stuck to the muffin liner. If you don’t have silicone muffin pans, they are worth investing in. Otherwise, use muffin liners or grease your metal muffin pans really well with coconut oil to avoid the muffins from getting stuck. 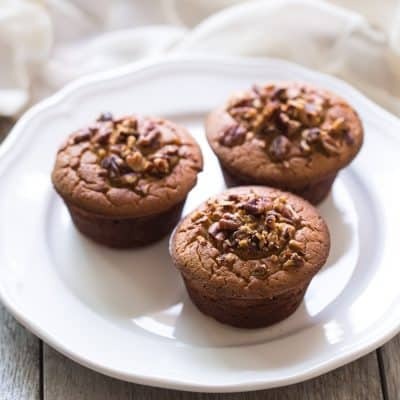 The almond flour gives these muffins a delicious nutty bite, and a wonderful texture. To add even more nuttiness, I top the muffins with some shelled pumpkin seeds. This is optional, but I love the crunch it adds to the muffins. 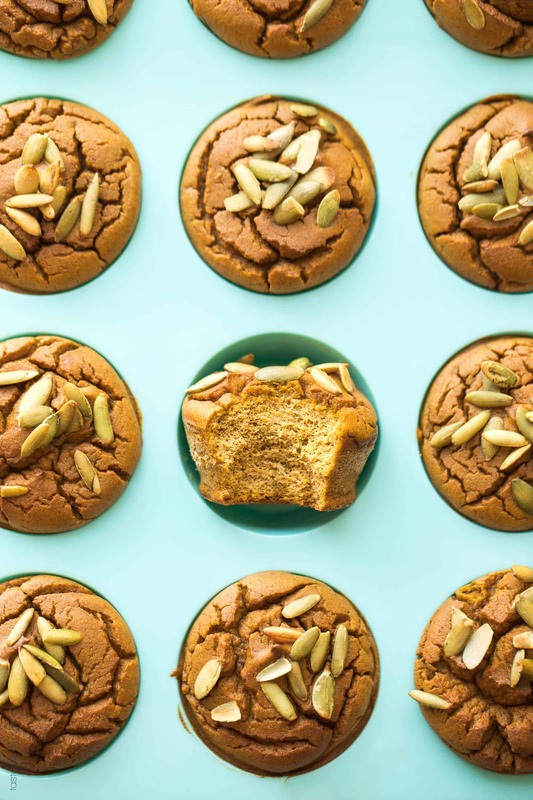 My husband brought these paleo pumpkin muffins to work and none of the guys could tell that these were paleo! If it passes for them, you know these muffins are good. 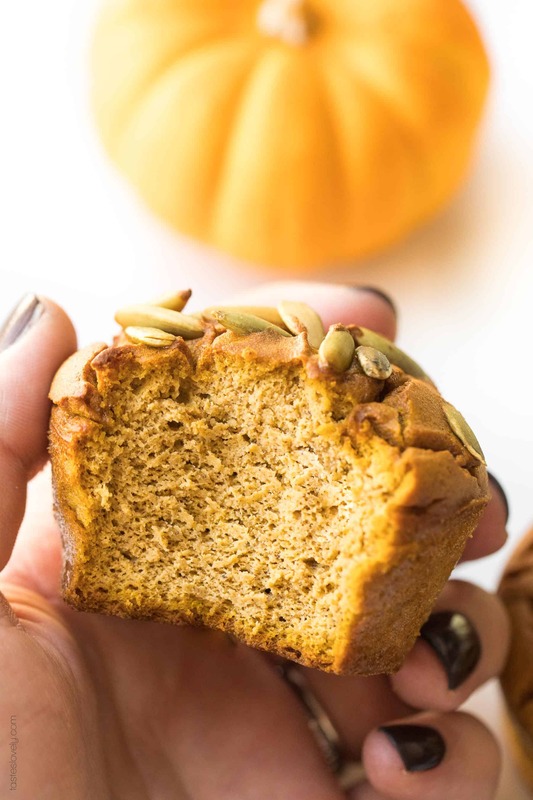 I’ll be enjoying these paleo pumpkin all October long for breakfast or for a quick protein packed snack (hello breastfeeding hungriness!). My husband and 2 year old will be devouring them with me too. The perfect paleo pumpkin muffin recipe that is gluten free, grain free, dairy free, refined sugar free, soy free, clean eating, real food. Preheat your oven to 350ºF with the oven rack in the middle. Place your silicone muffin pan on top of a rimmed baking sheet (to make it easy to lift the muffin pan). In your blender, combine all the ingredients except the pumpkin seeds. Blend over medium speed until completely combined, scraping down the sides if needed. Bake the muffins for 40 minutes, or until the tops are golden brown. Will keep in an airtight container for 3 days. You can also make this in mixing bowls with a whisk, I prefer a blender because it blends everything so fast and perfectly. These freeze beautifully! Allow the muffins to cool completely, then wrap tightly in saran wrap and store in a freezer safe ziptop bag. Will keep in the freezer for 6 months. Just remove and allow to thaw at room temperature. I just made the pumpkin muffins. I will be making these again! Yea! I’m so glad you liked them! These are fantastic! Followed to a T except substituted Swerve for sugar. Very moist, soft and pumpkin-y. Absolutely loved the simplicity of using a blender. Thank you! Will definitely make again. 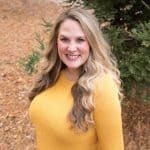 I’m so glad you liked them Charis! I love your idea of using Swerve instead of sugar! Appreciate your compliments, and you taking the time to let me know you enjoyed my recipe. Means the world!